you are welcome to join in and share your Pictures & Stories. He informed me of a site we all need to keep our eyes on. I am the Web Mistress for the Caprice Web Ring. 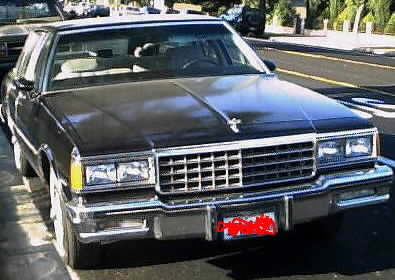 or even a Car Club for the 1977 - 1990 Caprice. I am always hunting on different search engines for others who have listed their Caprice's. On the left side of this page is the Index. This will list the Stats from the Survey. Information about each Caprice from 1977 - 1990 (still under construction). web ring I am open to all comments. You WIll Be Asked For Your VIN# & Year Of Your Caprice. To the list on the left, I compiled the Total Survey Data to one page. has a link to a list page & you can pick your car year from that. At the bottom of the index is a link to a list of Car Part places I have dealt with. Please check them out, you might find that part you've been looking for. showing what other Caprice Owners are adding, changing or modifying to their Caprice. And I will be happy to post your data. the court case against the shop that hurt her is resolved. It is about the 91 - 96 body style, but very interesting reading. The Chevy Bow-Tie's were created by Pete, who has a site on this Ring. I would like to thank him for his help & creating them. so I can get an accurate count. Please note: The Brougham was not produced till 1986. I have been receiving submissions listing Brougham's for the Early 1980's (they were not born yet). Also no Coupe's were produced in 1983,1988, 89 or 90.
who have not created their Web Pages yet. at Ed's Mobil for keeping my "Baby" up & running. I asked Ed if I could post his information on this site. He said with a smile, "No I am busy enough already". And he is, and is a very fair & honest man. of my car & about my Uncle Mac who owned her.